In 2019, the historic Ashford Castle in western Ireland is celebrating its 80th anniversary as a leading Irish hotel. The 800-year-old castle first opened its doors as a luxury hotel on July 6, 1939, and has been host over the years to royalty, presidents and celebrities. In 2015, the hotel underwent a complete $100 million plus restoration to restore the Castle to its former glory. It is consistently on the Best of the World lists every year. 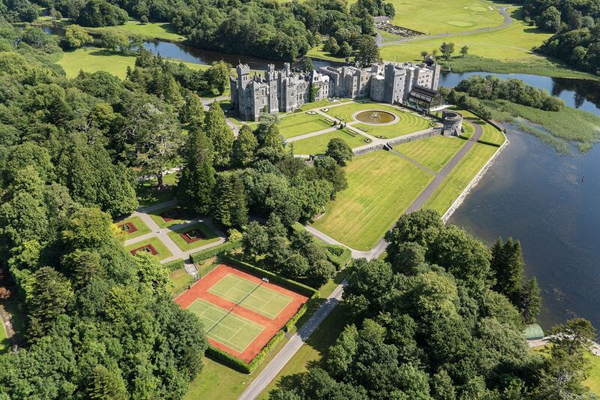 To celebrate its 80th anniversary, Ashford Castle is offering guests a special 80th-birthday hotel experience from May 2019 onwards. A two-night stay in one of the Castle’s beautifully furbished Corrib Rooms. A one-hour Hawk Walk at the Ireland School of Falconry, celebrating its 20th anniversary. An hour-long horseback-riding lesson for two. Dinner for two in the George V dining room, featuring a period menu with a modern accent, using produce locally grown near the estate. A history tour with a local historian highlighting memorabilia from 1939. The 80th birthday two-night stay is available to book from May 1 to Dec. 23 and starts at €1939 (approximately US$2,215) per night, based on two people sharing a Corrib Room. For more, go to www.ashfordcastle.com.